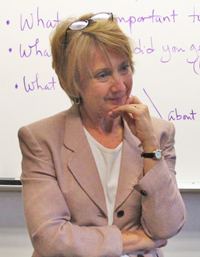 Alicia Hokanson is the author of Phosphorus (1984) and Mapping the Distance (1989). Both books are collections of the author's poems. Carolyn Kizer, a fellow poet, describes Hokanson's work as possessing 'not only a high level of craftsmanship but a real intellectual and moral elegance.' 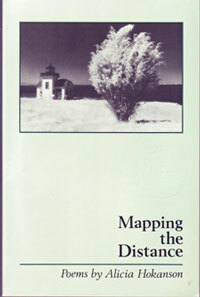 A copy of Mapping the Distance is available in the local authors collection of the Bainbridge Public Library. Hokanson is also a contributor to Works of Heart (2006), a book which profiles community building through the arts.